Want a foundation which doesn't show when applied? 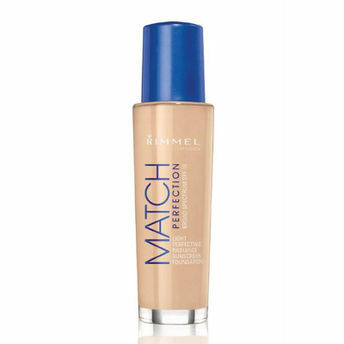 Grab Rimmel Match Perfect SPF 18 Foundation is developed with advanced smart tome technology which conceals marks and uneven skin tone effeciently without leaving a trace of dreaded foundation lines!The smart foundation provides illuminating finish that lasts all day long. Doesn't congeal or clog the pores. Prevents formation of oily layers on face. Explore the entire range of Foundation available on Nykaa. Shop more Rimmel products here.You can browse through the complete world of Rimmel Foundation .Alternatively, you can also find many more products from the Rimmel Match Perfection SPF 18 Foundation range.